Anyone who knows me knows I love a good bargain. In fact, I wrote about some thrifty finds recently that you can check out here. Craigslist shopping is an art form and no one has mastered it better than my mom. I cannot even begin to tally up the amazing finds she has gathered for free or close to it. 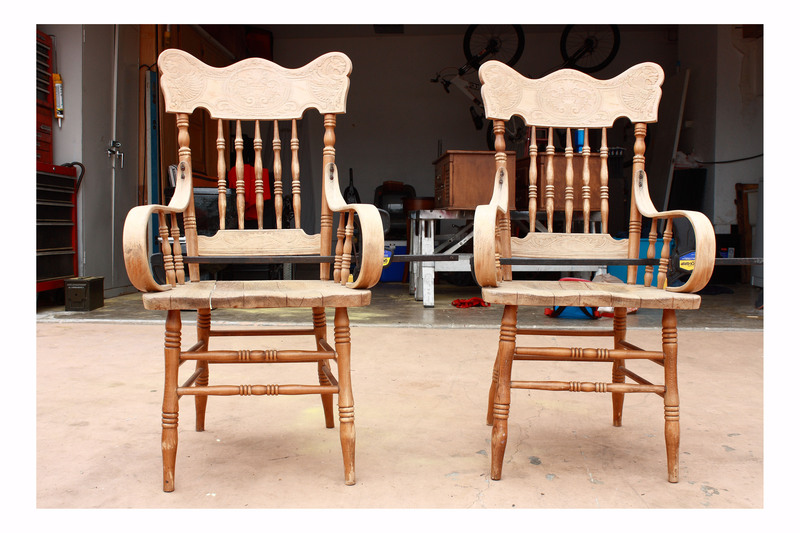 So imagine my absolute joy when my amazing (and brilliantly talented) mom, surprised me with these gorgeous antique chairs….that she snagged for FREE. Yep, for free. These beautiful chairs are a throw back to some chairs I remember having in our house growing up. There was a time when my parent’s home was super “country” and our dining room chairs held up under some serious usage from 3 kiddos and an abundance of friends and family. 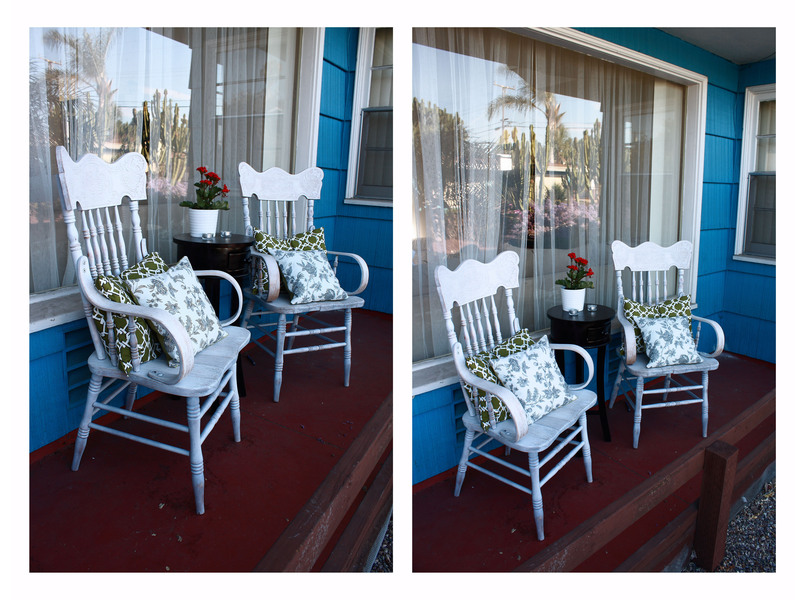 I decided these new/old charming chairs would make the perfect porch set for our little front patio area. What a welcoming and quant little greeting they would lend to many a friend and neighbor. 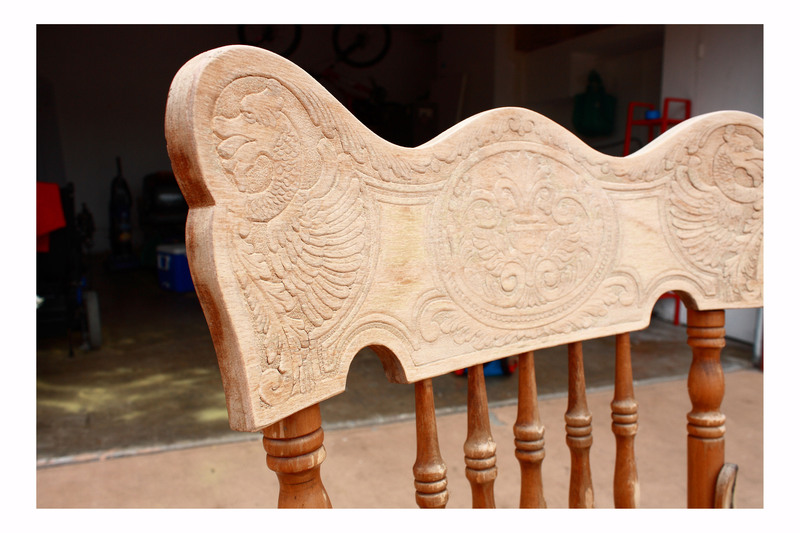 With a little elbow grease, sand paper, paint, and wood glue these chairs were given a second chance at life. Now welcome to our new and inviting little porch. 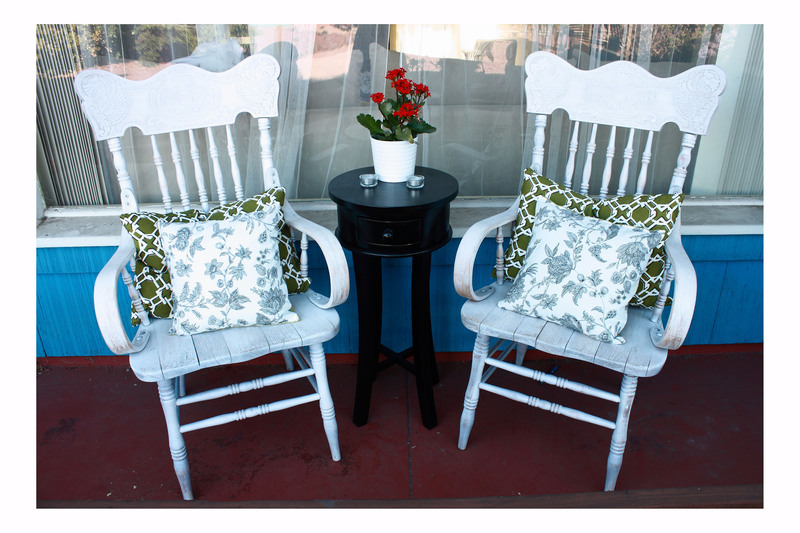 Don’t you just want to pull up a seat and enjoy some sun tea and fresh baked banana bread with us? After lightly spray painting the chairs in a sating finish spray paint, I roughed them up a little with some fine grit sand paper. The green geometric throw pillows were made using pillows I already had at home as well as some fabric I had from another project I never completed (seems to be a regular occurrence around here). I made the floral pillows using some $1.50 pillow forms from Ikea, as well as a fabric remnant from their as-is section that cost me a whopping 50 cents. The fabric was actually an ironing board cover that I felt served a greater purpose as my sweet pillows. 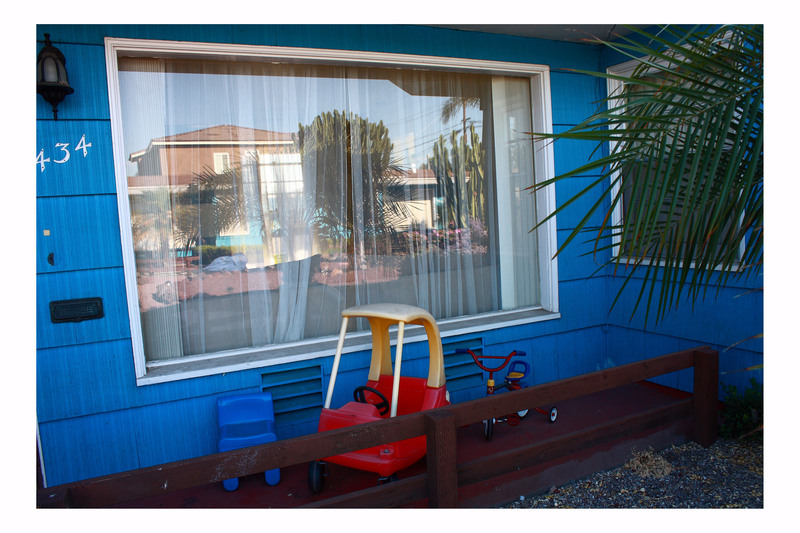 I love the pattern combination here and the way the green stands out against our, rather comically painted, blue house. Oh and the sweet and shiny black table was taking up residence and collecting dust in our laundry room. I didn’t have a permanent home for it at the time, so now it’s the perfect combination to balance the country chairs and add some modern charm in a sleek and glossy black paint. I think they turned out pretty darn awesome, if I don’t say so myself. So, are there any projects you’ve accomplished with a big impact on a tiny budget? Do share…. Oh Erika you are something else! I was laughing and crying at the same time. I love that you have memories of your childhood, and I love your writing and expression abilities. I am so proud of you and love you so. You bring new meaning to the saying “good things come in small packages”. You pack a punch of everything lovely, good, fun, creative, strong and beautiful!